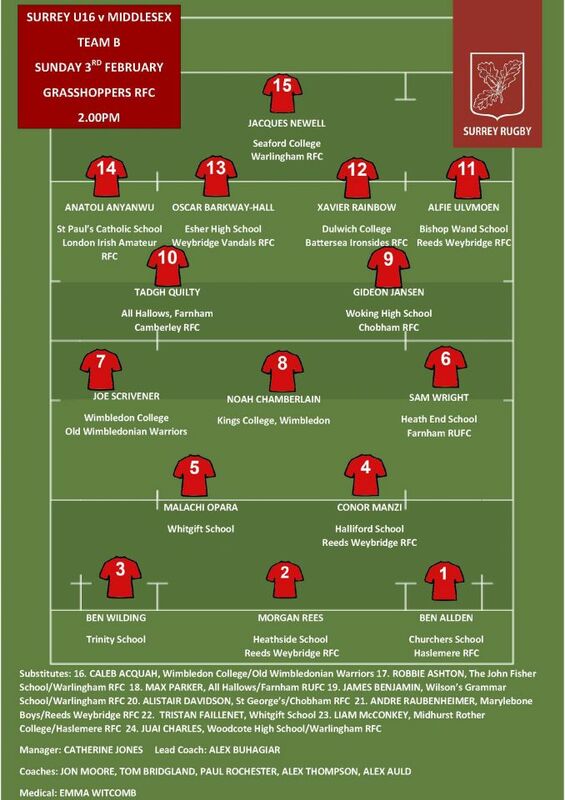 Here is your U16 Surrey 'B' Squad facing Middlesex today at Grasshoppers RFC. Kick off is 2pm if you are able to head down and show some support. Best of luck to all of those playing today!